CyberLink Media Suite - download in one click. Virus free. Download the latest version of CyberLink Media Suite with just one click, without registration. It comes with a safe official web installer for Windows. With almost 20-year experience in developing multimedia solutions, it's hardly a surprise CyberLink now offers an extensive product range to facilitate any media file-related needs. CyberLink Media Suite, as you may have already guessed, represents a comprehensive multimedia suite that embraces just about all the powerful products CyberLink can offer – as much as 15 different products. 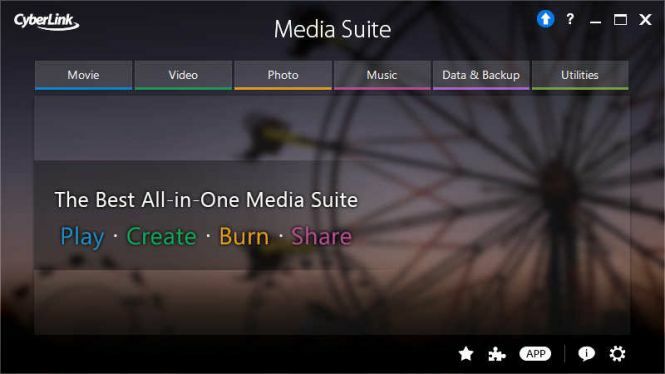 Being offered just for $99.95, Media Suite bundles together 12 PC packages, as well as 3 efficient mobile apps. 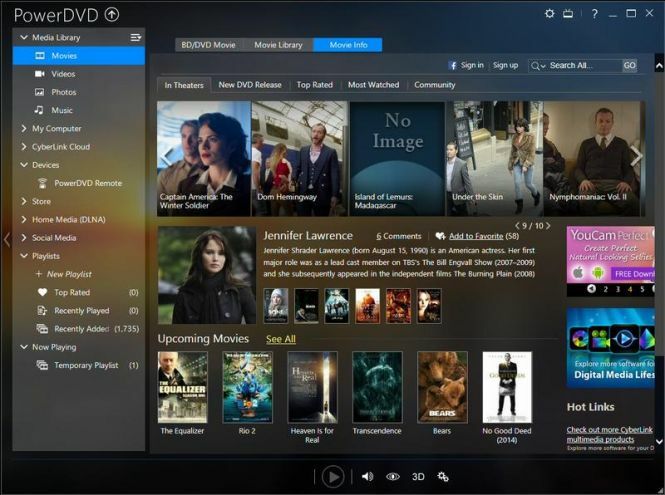 PowerDVD is included to handle and enhance media playback (video, music, DVD, 4K, 3D, and more). PowerDirector 12 is to take care of video file editing. PhotoDirector 5 will provide you with a great photo editing solution. Whereas PowerProducer 6 and Power2Go 9 will cover both professional and more general disk-related tasks: DVD and Blu-ray movie discs creation, CD ripping, disc image mounting, etc. In case you face any media conversion needs, there's MediaEspresso 7 to help you out. 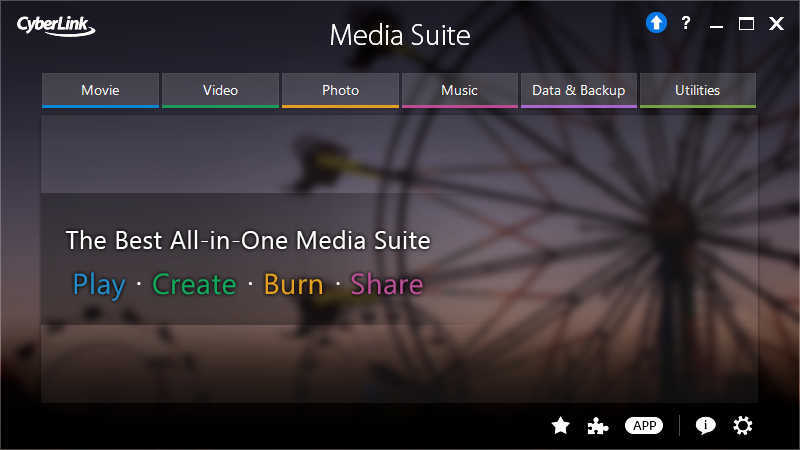 And if you like everything to be on order, Media Suite will offer you MediaShow 6 as well, which organizes and shares photos and video files. WaveEditor 2 will assist you in recording and enhancing audio, allowing you to trim and cut files with ease. And while the suite may already seem pretty sufficient, you will also get PowerBackup 2.6, PowerDVD Copy 1.5, Label Print 2.5, and Instant Burn 5.0. As for the provided mobile apps, here you will find some powerful solutions as well. PowerDirector Mobile and PhotoDirector Mobile will facilitate photo and video editing on Android and Windows 8 devices, while Power Media Player will provide you with a nice media player for Android, iOS, and Windows 8. Well, CyberLink Media Suite definitely represents the best value for money with such a wide range of products you will get in the bundle. A nice deal, isn't it? Below is the link to download a free trial.